This is me. 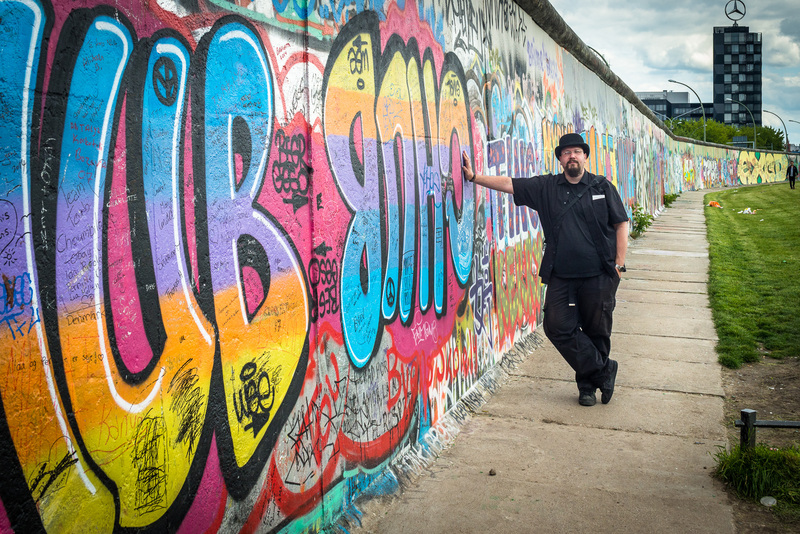 I don’t figure a lot in my own photographs but I felt that I needed to have one of me at the remnants of the (in)famous Berlin Wall. I’m standing in what was once the deadly no-mans land between east Berlin and west Berlin. It was fascinating to finally see some last vestiges of that symbol of oppression and division. The revolts that lead to the walls destruction and ultimately to the reunification of Germany took place when I was 11-12 years old and as such I have only vague memories of the news reporting on it. On a side-note, I was astounded at the tremendous amounts of graffiti in Berlin. Hardly any building or wall was free from it. Also, that white thing sticking up out of my shirtpocket is my ticket from earlier the same day when I visited the DDR-museum. Highly recommended if you’re in Berlin.